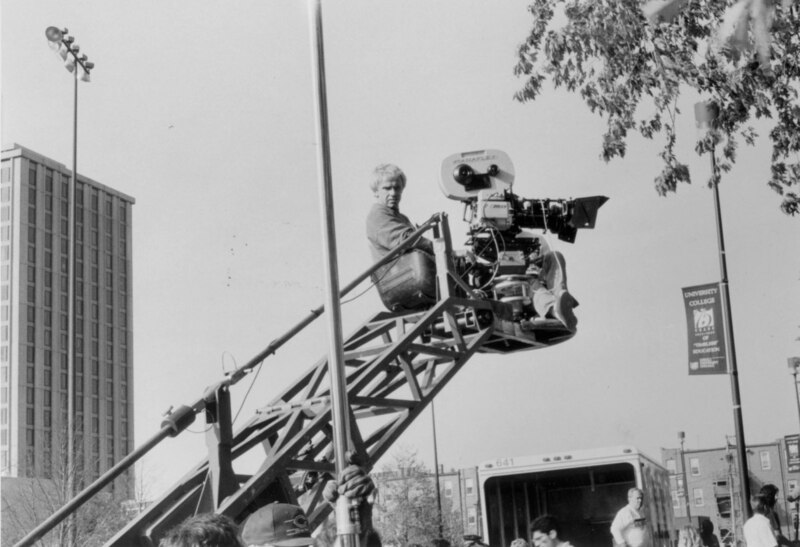 Flatliners cameraman on the Loyola Lake Shore campus. Flatliners is a flim about medical students who begin to explore the realm of near death experiences. 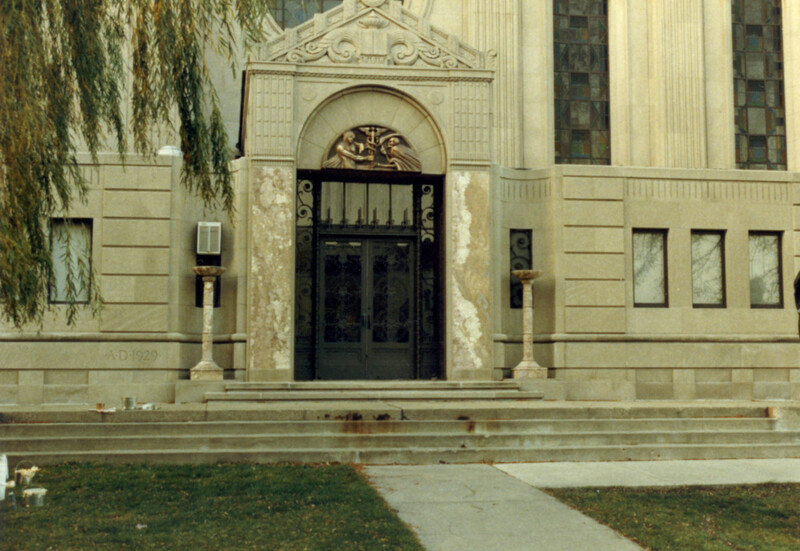 The Cudahy Library entrance transformed for the film. 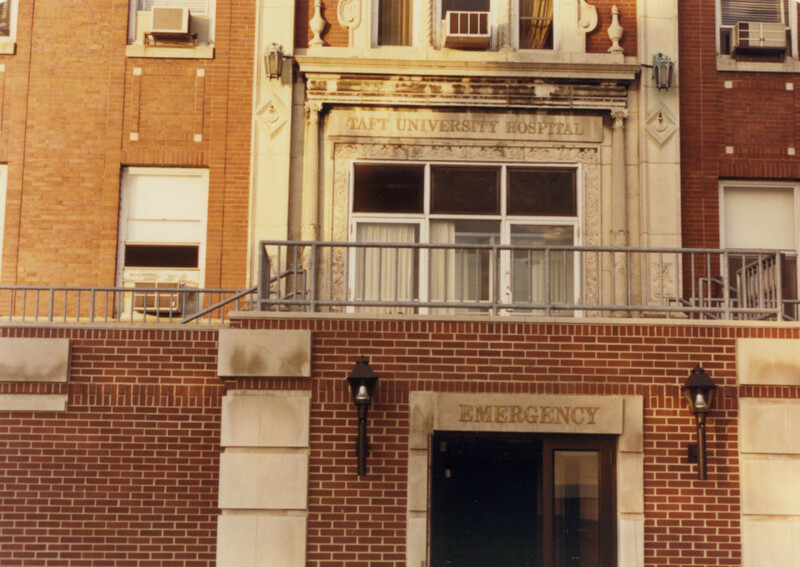 The Jesuit Residence altered for Flatliners. 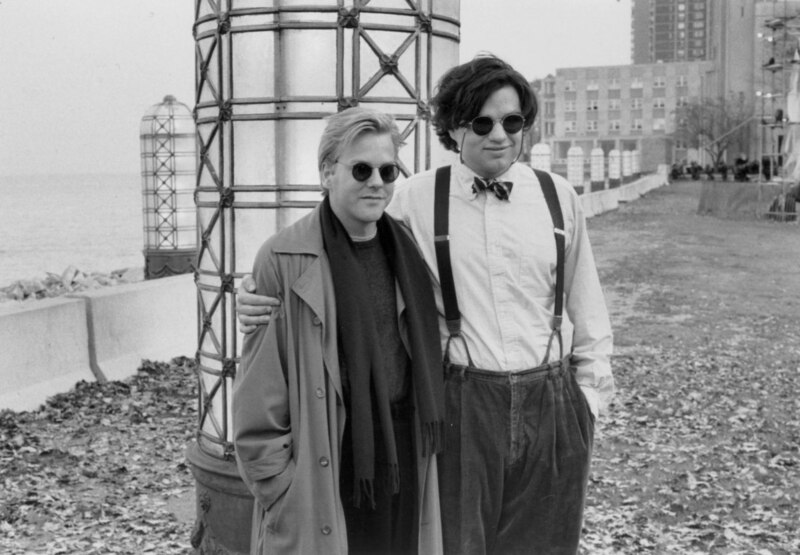 Actors Kiefer Sutherland and Oliver Platt pose for a photograph during the filming of Flatliners on the Loyola campus. 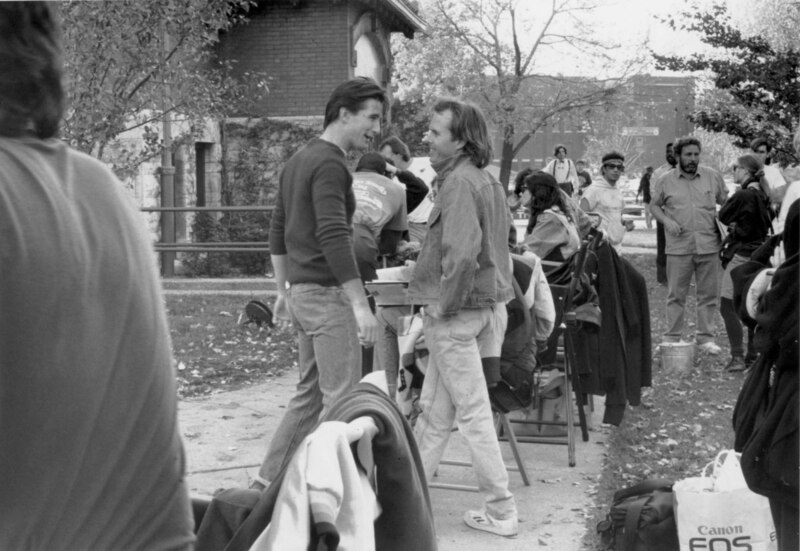 Actor William Baldwin and writer Peter Filardi consult.